OUR VISION The road to recovery is a difficult one to travel. 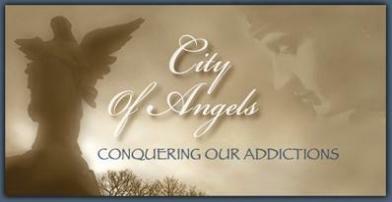 City of Angels NJ, Inc. envisions this road with fewer obstacles for those seeking freedom from their addiction. City of Angels NJ, Inc. will offer assistance navigating the treatment system but realizes that successful completion of a treatment program is not the end of the road. Upon re-entry into their daily lives, City of Angels NJ, Inc. will be available for those in recovery by providing emotional support, sponsors, a safe and drug free meeting place, help finding employment, psycho-educational programs and daily living assistance. OUR MISSION City of Angels NJ, Inc. realizes that addiction is a devastating disease that destroys too many lives, and seeks to foster strong relationships with the community, schools, the criminal justice system and various treatment centers in order to bridge the gap between addiction and a healthy lifestyle.